From the intrusion to the deposit using geophysics. 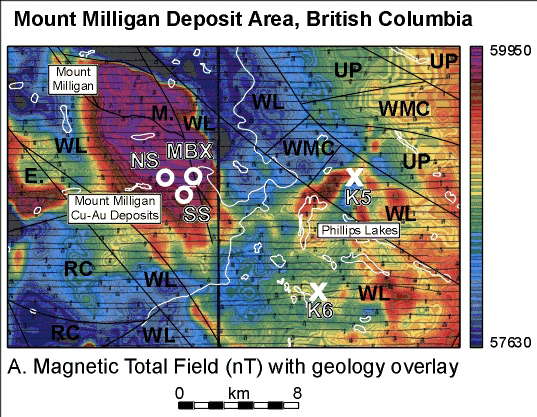 Mount Milligan is a large alkalic Cu-Au deposit located in British Columbia. 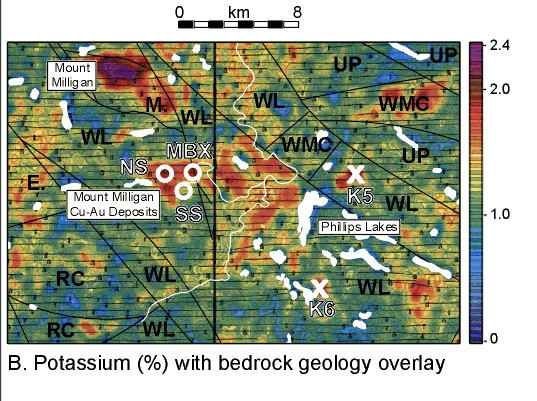 A magnetic survey delineated the alkaline intrusion. Spectrometry was used to further reduce the area of interest. The survey delineated the zone of potassic alteration related to the deposit.